Michigan has no one but themselves to blame. 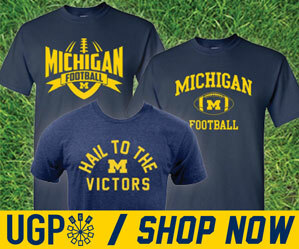 In the playoff rankings issued the day after Michigan's loss to Ohio State, Michigan was dropped to 5th. From then on, it was clear a loss by Washington or Clemson in their conference title games was the ONLY way Michigan was going to sniff the top 4 again. But that doesn't mean they didn't deserve it. 1. The best team to get left out of the playoff is Michigan, not Penn State.All four of the teams that will be in this year’s playoff rank in the top five of PFF’s cumulative grades for 2016. Alabama ranks first, Washington second, Ohio State fourth and Clemson fifth. The No. 3 team in the country? The Michigan Wolverines. In particular, when looking at a team that could match up best with top-seeded Alabama, the Wolverines appear to be one of the best candidates. They rank third in PFF’s run-defense grades, second in pass-rush and 12th in coverage – giving them a defense that could go toe-to-toe with Alabama’s and perhaps put enough pressure on Crimson Tide’s freshman quarterback Jalen Hurts (more on him in a bit) to spark an upset. There was no way Penn State was going to get in before Michigan had Clemson or Washington lost. Their move to 5th was simply a ceremonial nod by the committee to the Big Ten champion...nothing more. Despite the fact that Michigan matches up with Alabama better than Washington or Penn State does, the committee got it right. 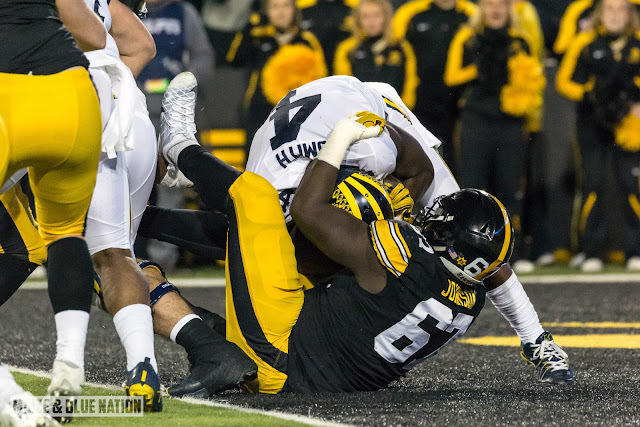 In the end, it was Michigan's loss to Iowa that killed their playoff chances. You just can't expect to vault past two conference champions after losing 2 of your last 3 games and not playing a 13th game. In the end, Michigan has no one left to blame but themselves. Michigan was a better team than Iowa, and is probably better than Washington, but better teams need to win games despite being on the road and things not going your way. Is Michigan an elite team? I think so. You don't go into Columbus in week 12 and essentially win the game without being elite. I think this year's playoff picture, and the amount of good teams on the outside looking in...Michigan, USC, Penn State, Oklahoma...hell even Western Michigan...is a clear indicator that an 8-team playoff needs to happen. And anyone willing to make the ridiculous "What about the student-athlete?" argument...I would just like to refer you to the 5-round, 28-team playoff system that NCAA division II uses that appears to be working just fine. I think we're headed to an 8-team playoff in FBS...but it's going to be a slow evolution because of the antiquated bowl system. Bowls were great for college football for about 100 years...but the game is changing, and the post-season needs to change with it. You know the old bowl system is broken because the Rose Bowl is now a consolation game. The tipping point will come once advertisers realize that more money can be made from a 3-week long playoff, than from 6 good bowls and 34 terrible ones.